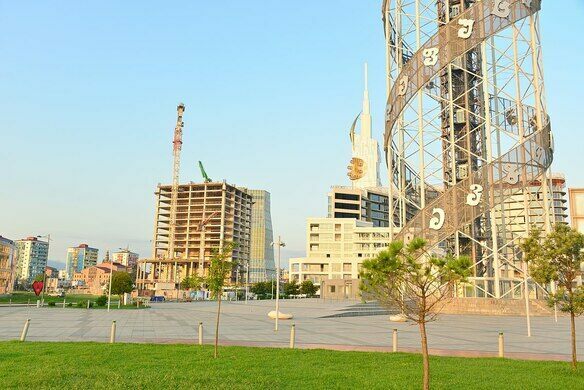 When the Technological University Tower in Batumi, Georgia was completed in 2012, it was the first building ever to include a Ferris wheel built into the facade. 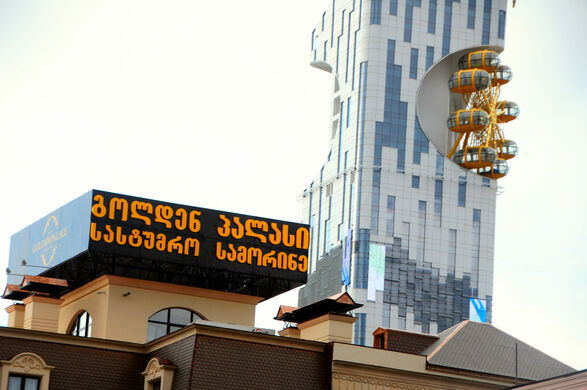 Hanging 330 feet (100 meters) above the ground are eight airconditioned cabins with room for a total of 40 people. 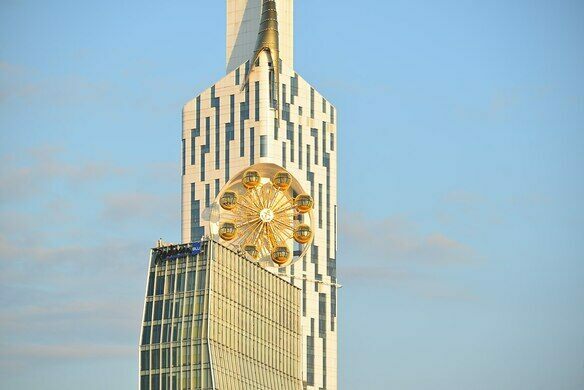 It would offer a great view over Batumi, if only it was operational. A shipwreck named Desire at the shore of Batumi. A literally moving statue of stacked metal giants just continually trying (and failing) to find love. 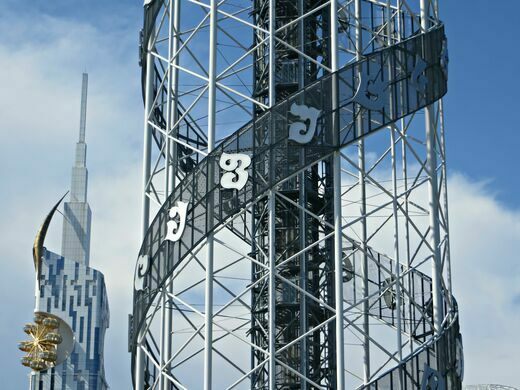 The ferris wheel—as well as the 280-foot (85-meter) mast with a sail on top of the tower—proved to be a challenge for the architects and engineers designing the building, and required wind tunnel tests. 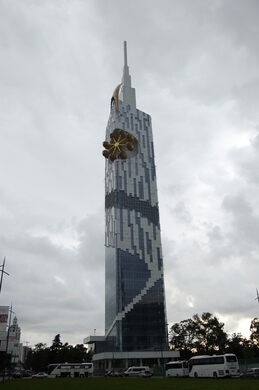 Further complicating the construction, the tower was built in a moderate seismic zone. During an earthquake the soil underneath the tower liquefies, and so strategies to prevent this were also developed. What’s more, the plans to open a technological university in the city fell short, and the building stood empty for two years before it was sold in 2015. The plan was to transform the tower into a hotel since many had criticized the building for not being suitable as an education facility. Still, rebuilding it would require massive investments. 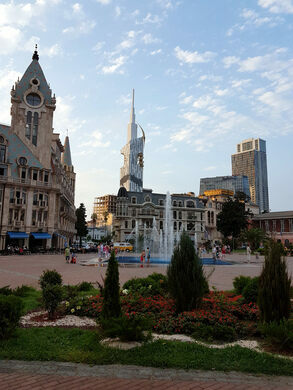 Still today the tower stands empty in downtown Batumi. Whether it ends up a hotel or university or something else, it will certainly have something very unique to offer its visitors in the future. 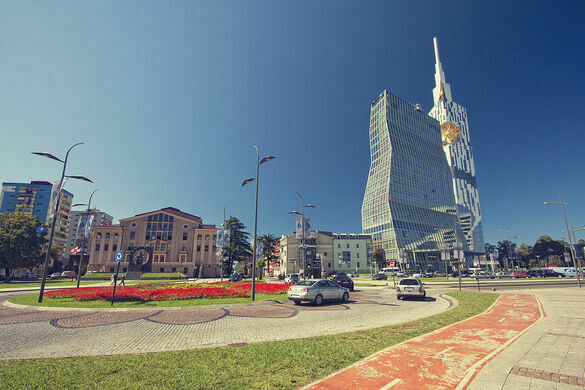 The Batumi Technological University Tower is located in downtown Batumi and is clearly visible in the Batumi skyline. 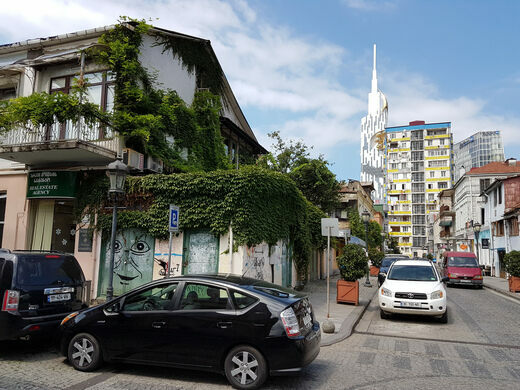 Come with us to Tbilisi, Georgia, on a one-of-a-kind culinary expedition filled with wine tastings, workshops, harvest activities, and much more. 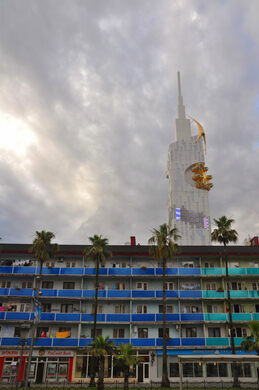 The "plyscraper" is the world's tallest building made predominantly out of wood. The "stairway to heaven" lookout tower was built to resist weather, arson, and the laws of physics. This 47-story "M" remains totally uninhabited.